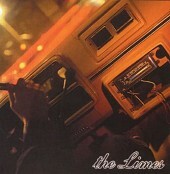 Well-crafted rock 'n' roll with a poppy punch, The Limes may not be considered punk rock by punk rock elitists, but the energy parallels that of any punk band out there today. Fiery, muscular, sharp guitars, and a meaty rhythm section, The Limes are as punk rock as the next band with more accessibility and, if anything, energy. This is what I like in rock music: tight, catchy, aggressive, but not overly, and crafted around strong pop melodies to reel you in. I'll give it an A-.